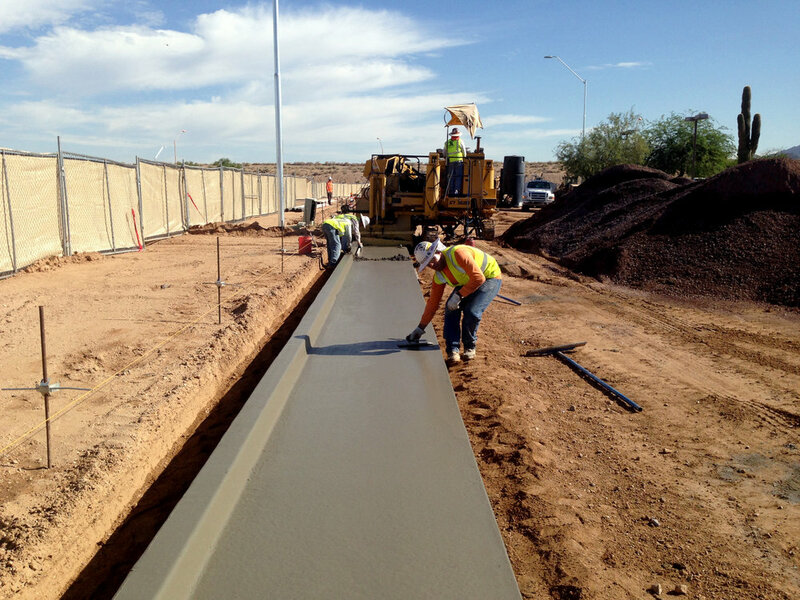 The Northsight Boulevard Extension Project improved Northsight Boulevard from just east of Hayden Road to Frank Lloyd Wright Boulevard and Hayden Road from just south of Northsight Boulevard to 500 LF north of Northsight Boulevard. Formerly a private street between Hayden Road and Frank Lloyd Wright Boulevard, Northsight Boulevard became a public roadway upon completion of the improvements. 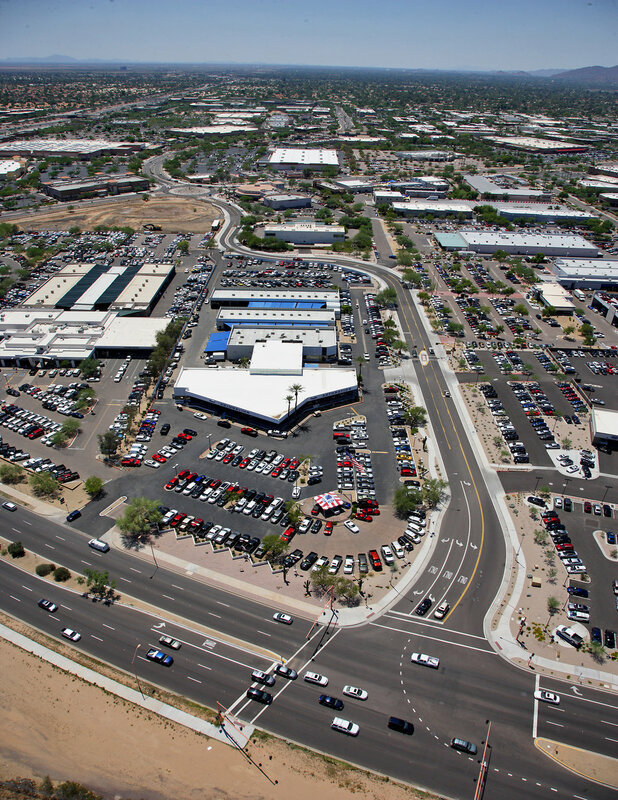 The signalization of Northsight Boulevard and Frank Lloyd Wright Boulevard along with the improved accessibility of Northsight Boulevard provides an additional through route and helps ease traffic congestion at the intersection of Frank Lloyd Wright Boulevard and Hayden Road. The improvements also reconstructed the formerly signalized intersection of Hayden Road and Northsight Boulevard to a multi-lane Roundabout to improve traffic flows and mitigate back-ups. The project scope included tree and cactus transplantings, wet utility relocations, new 24” waterline, 18” and 24” storm drain, catch basins, removals, sidewalks, curb & gutter, raised medians, landscaping & irrigation, traffic signals, temporary signals for construction at Northsight Boulevard and Hayden Road intersection, public art, major APS and other dry utility relocations, street lighting, ITS infrastructure, fiber optics and equipment, paving, striping, and signage. This project also showcases an official Scottsdale Public Art feature called "Aspire" in the middle of the roundabout. The sculpture by Simon Donovan and Ben Olmstead features human-like figures that can be seen in two ways: as one man in varied stop-motion poses lifting off into flight, or as three men standing upon each other’s shoulders with the top one soaring. The intent of this “flying dream” concept is to uplift and inspire the spirit. Read more about "Aspire" on the Scottsdale Public Art website.